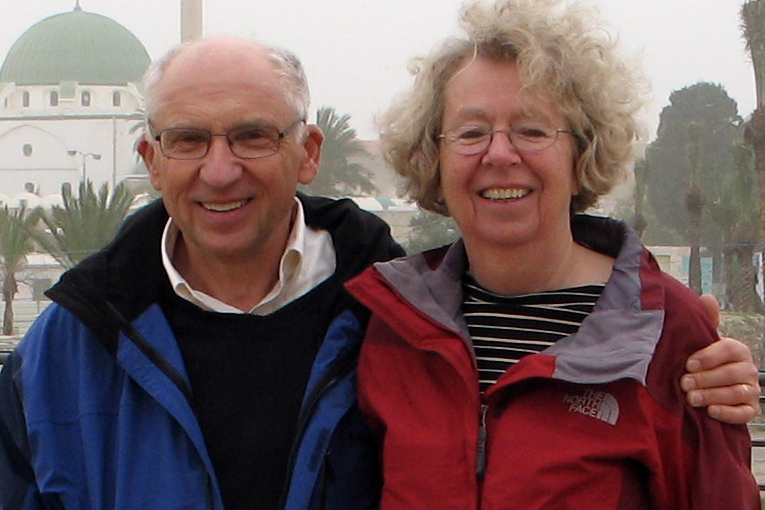 Professors Konrad and Hannelore Jarausch have active academic appointments that bring them across all corners of the globe. They are both on the faculty at the University of North Carolina-Chapel Hill. Konrad is Lurcy Professor of European Civilization in the Department of History and Hannelore directs the French language program in the Department of Romance Languages. We recently had the pleasure of catching up with these two dynamic SabbaticalHomes.com members. In the past four years we have rented out condo in Berlin to several academics, from the United States and from Poland. This year we added a new element, not offering a place but searching for ourselves. Sabbatical Homes has just allowed us to locate a rental outside of Washington, DC for an extended research stay for Konrad for six months. Renting from a fellow academic has been very helpful since we share an understanding of what will be appropriate and needed. It is fun to be on both ends of the rental spectrum and we were grateful for the contact possibilities and able to negotiate an arrangement that seems to work for all parties. What kinds of questions do you ask potential renters? First and foremost is probably smoking, but this is less and less of an issue. Otherwise we like to find out a bit about the professional background of the renter, how the rent will be paid (regular bank draft is our favorite!) and if they are willing to forward mail from time to time and tend to the outside. Our place is a condo and we do have a gardener who mows the grass and takes care of leaves in the fall, but it is nice if someone puts some flowers into the planters and pulls a few weeds from time to time. We also really like it if our renters continue to use our cleaning lady (not included in the price). Until now, this has worked and it is a real help for us in terms of keeping the place nice. The most challenging things for us: (1) Where to put our own belongings so that there will be space for the renters. Fortunately we have large hall closets, and I have purchased plastic bins that I put on the top shelves, plus we have a storage area off our garage. Usually people coming to Berlin for a shorter stay don’t bring too much. (2) The rental period. We like to use our condo ourselves in the summer and have an American university calendar, meaning we want to be able to be there between early May and mid-August. But this does not correspond to German university or school calendars. Renters have been flexible, traveling or finding a short-term rental to make this possible. But there is no easy solution. What do you enjoy most about your experience renting out your own home and finding others to stay with at SabbaticalHomes.com? What we enjoy is making it possible for others to be in nice surroundings in Berlin, close to public transit, in a quiet spot, sharing our love for this wonderful city. Since we both have always been involved in international exchanges, we think it is important to facilitate these. We were able to live in university-owned international housing in Germany when our children were younger, and these were memorable experiences for our family. There is also a different sense of belonging when you are dealing with a colleague and not an anonymous agency where money is the only concern. Hard to say, California since our children are there, the south of France, the mountains of Austria and France… It varies. As for sabbatical, depends on what comes up.